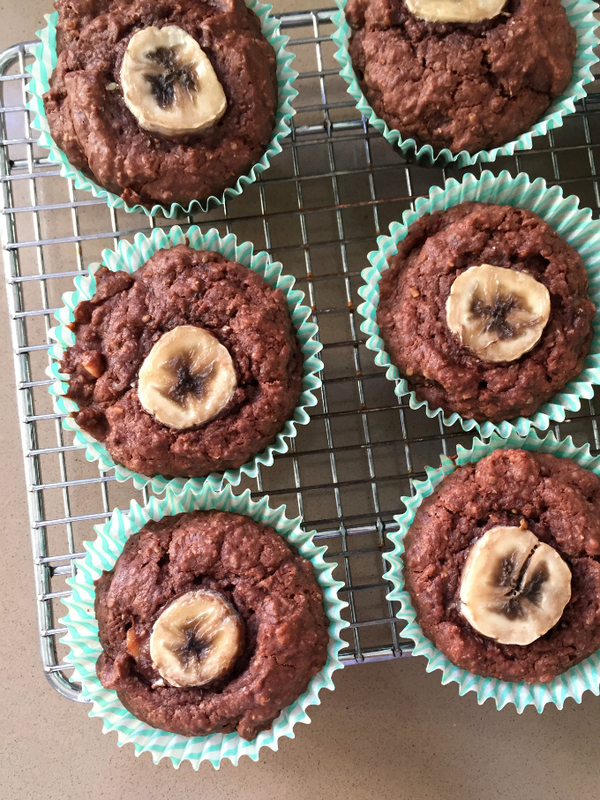 These nutty banana muffins AKA baby hipster muffins are full of healthy superfoods and fats, perfect for little (or big!) growing people. Max (#littlehowie) is now 14 months and needs more than just a handful of strawberries for morning tea these days so these muffins make the perfect little lunch snack. I realise the recipe makes 9 which seems a silly amount but you could easily pile the batter into 6 cases and just make really big muffins which would be great for older kids. ¼ cup nut butter of your choice. I used Mayver's super seed butter. Preheat the oven to 180°C (conventional). Line 9 regular muffin holes (in a 12 hole tray) with cupcake cases. Slice 9 thin slices off one end of the banana and set aside. Place the remaining banana in a large bowl and mash. Add the egg, yoghurt, oil, nut butter, vanilla and sugar and whisk to combine. Add the cacao, flour and baking powder and mix until just combined. Divide between prepared cases. Top each with a slice of banana. Bake for 15-20 minutes or until cooked when tested with a skewer. Allow to cool on a wire rack. - To freeze, individually wrap muffins in plastic wrap then place in an air-tight container or snap lock bag. Defrost at room temperature. 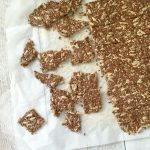 - To make this recipe lactose-free, use coconut or soy yoghurt.